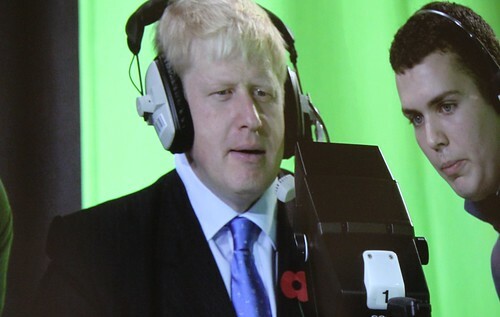 The Mayor of London, Boris Johnson, visited the new Ravensbourne College next to the O2 this morning. The Mayor met with students, staff and business leaders from the creative industries and was given a tour of the college's state of the art facilities. In his short speech to invited guests, Boris praised the "amazing" college, describing it a "beautiful, beautiful building." He credited Michael Heseltine for "initiating the transformation... of this patch of ground in North Greenwich". 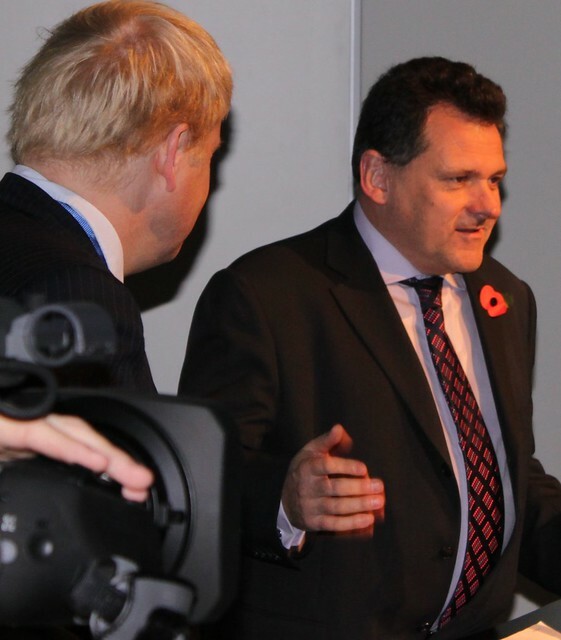 Boris also commented on the new cable car proposal which would connect the O2 with the Royal Docks, saying it would be "named after Vince Cable" and would allow him to "reflect on the importance of the banks" from high above the Thames. Leader of Greenwich Council, Councillor Chris Roberts, paid "huge tribute" to Robin Baker for his leadership during the college's move to Greenwich Peninsula and praised the "completely new and revolutionary ways of learning and teaching" on offer at the college. 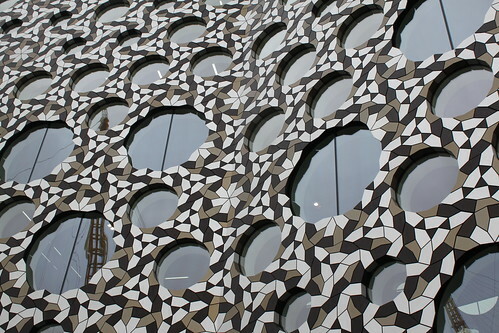 Ravensbourne director, Robin Baker OBE, pointed out that this was not an opening but one of a series of events to celebrate with stakeholders, to which the Mayor replied that he was happy to declare "the college even more open than it was a few moments ago." Darryl from 853 was also there and has his own write up.